We meant to go to Olive Garden but Jas decided he was "famished" so we went to Arby's drive thru instead. It was ok because I didn't do my hair (thus the turban scarf number on my head...) and I was having a hankering for an Arby's Regular Roast Beef all nicely slathered in Arby's sauce. It totally hit the spot. I still think dates are important, even if we put on a new shirt and some perfume to go through the Arby's drive thru. Keeping the romance alive people! Lately I have sounded like a husky man with a stuffy nose which is super attractive, I know. But it looks like things are looking up—I can smell again, my voice seems back and I have enough drive to get up, put on pants AND get some work done on the computer. Here's to a productive week! Hip hip!!!!! I hope this isn't creepy but your blog is for real one of my favorites because you take the MOST AMAZING PICTURES EVER! You are your husband are so cute, you're beautiful! Too cute... Seriously. Love the turban scarf look on you! If only I could pull that off. 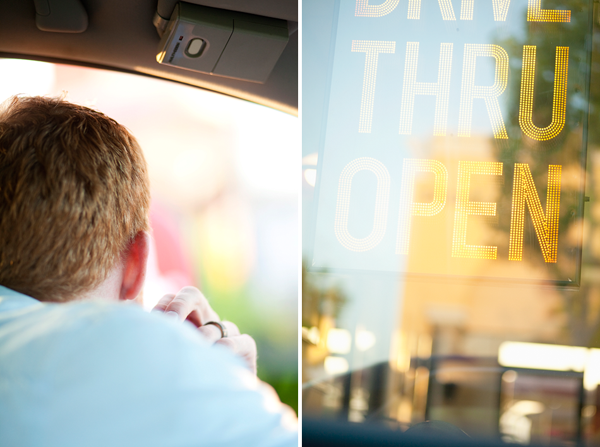 3 cheers for drive through dates! This is an adorable, simple date idea! Loving the bandana! Once again amazing pics! And you guys look amazing to say your just going through a drive through... you make life look like so much fun !!! mmm.. jamocha shake and curly fries. That is so funny! I feel like that half my life lately.. why did i even get ready?! LOVE the scarf look on you! Not everyone can rock that and you definitely do! And always go on dates together!! Arby's drive thru....very good and very fast. I think your blog is special, too! How cute are you two!? Dates like that are the best. And can I just say how much I adore you and your blog? 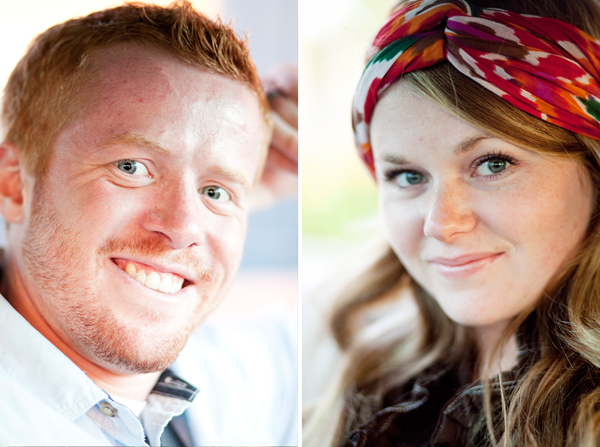 Don't take that in a creepy way and don't take this in a creepy way: I just love your photography and I live in Utah, but whenever I get engaged, I think a roadtrip might be in order for you to take my engagements or something. LOVE your photography and blog so much! You are just gorgeous on the inside and outside! Just found your blog - it's just wonderful! I love your date, too....My bf and I like to walk around Lowes and Home Depot ;) Also, great low maintenance turban scarf! Where's it from? ?